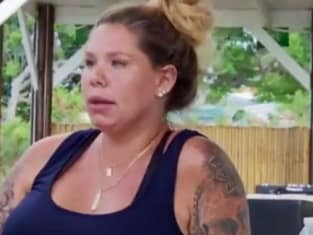 Did Kailyn give birth to her child on vacation? That appeared to be a real possibility on Teen Mom 2 Season 9 Episode 16 when she realized the pregnancy was nearer than she first thought. Meanwhile, Briana learned more details about Stella, but did it make her fall out with her? Also, Jenelle and Barb continued to bicker as Jace's birthday arrived. Finally, Leah struggled to give attention to both of the twins. Use the video above to watch Teen Mom 2 online right here via TV Fanatic. Get caught up on all of the latest drama right now!